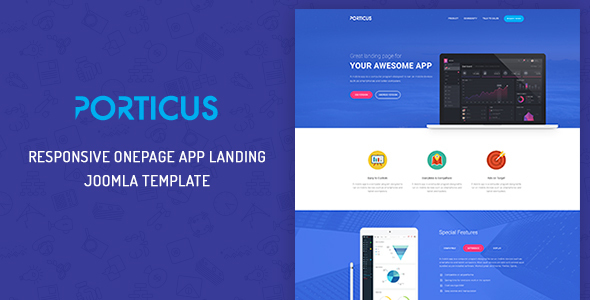 ZT Porticus is a clean and creative OnePage Landing Page Template for Mobile App, App Startup. ZT Porticus is made for you to present and promote your startup mobile app website. ZT Porticus is rigorously tested and optimized for speed and faster page load time and has secure and clean code. It’s perfect for any types of website – Landing Pages, small business, portfolio, photography, corporate, personal & eCommerce websites.